What Formula 1 team sits dead last in this year's World Constructors' Championship? What Formula 1 team has yet to score any points, and is trailing a poorly-funded customer team with an outdated engine spec? What team has, in the first six whole races, failed to even once finish a race in the top ten? No need to go on, everyone knows this is McLaren-Honda, one of the single greatest partnerships in the history of the sport that's turned into a laughingstock after enduring almost three seasons of incompetent engine production by Honda. In spite of the remarkable failings of the MCL32, the team still believes in their own efforts. Matt Morris, the team's Chief Engineering Officer, disclosed in an interview with F1 Today that he believes McLaren's MCL32 chassis is, despite the team's horrible 2017 performance so far, among the best on the grid. "We now have one of the best cars in the field [...] we had some problems last year but now we have a really good platform on which to build." 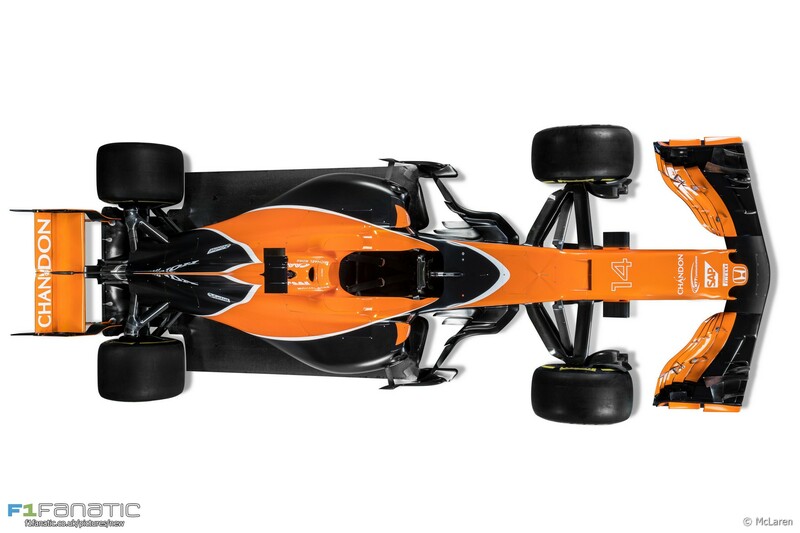 Morris may be referring to the "size zero" design philosophy used by McLaren-Honda in 2015 and 2016. This philosophy revolved around shrinking the engine and its cover to minimum size, in the name of a low center of gravity and minimal drag, and part of it was accomplished with the use of an axial compressor rather than a traditional deign. However, one of the big weaknesses of this design was its poor heat dissipation, which caused the team problems throughout their first two years together. The design appears to have been carried forward as evidenced by the narrow rear, which no other competitor has yet mimicked. When Morris makes the claim that the team has one of the best cars, he is not speaking of the car as a whole, but the chassis. McLaren's problems with Honda are reiterated often enough not to need another summary, and given that any success the team has this year can be attributed to their chassis, Morris may have a point. At the Spanish Grand Prix, Fernando Alonso qualified P7, making up most of his time in the fast, chassis-favoring corners of the Catalunya circuit. So, McLaren's claims regarding the MCL32 may not be too outlandish. As an anonymous McLaren employee is alleged to have put it, "we now have a car that could be on the podium with a proper engine," a claim that few of us have any reason to doubt.